Planning a wedding on a tight budget? Well there is absolutely no reason why your favors, decor and bridal gifts shouldn’t still be exquisite. That’s why when we choose items for The ESN Store we try to be quite selective with our recommendations. Here are 10 inexpensive wedding favor ideas to inspire. 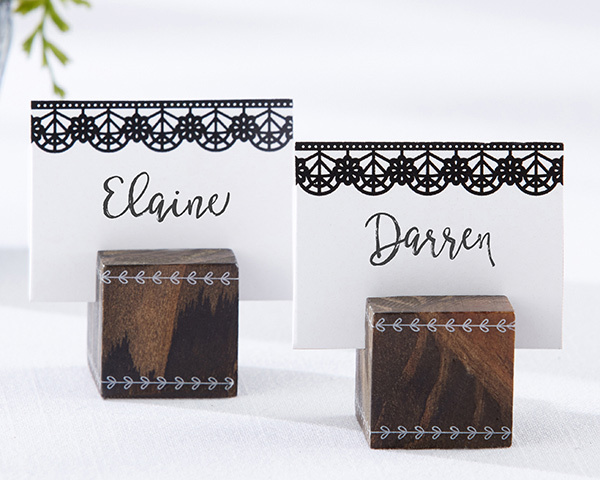 Holding a black and white lace print place card, the Romantic Garden Wood Cube Place Card Holder is just what you need to impress your guests as soon as they walk through the door! (See price and full details). 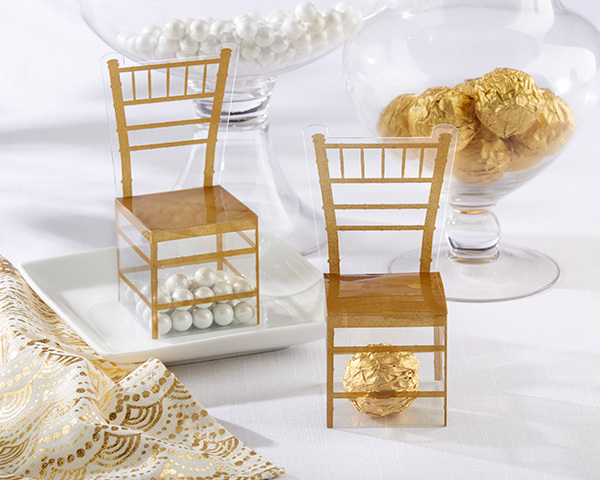 Candies and other small wedding or shower goodies are kept visible in a clear compartment at the bottom of each gold chair favor box. 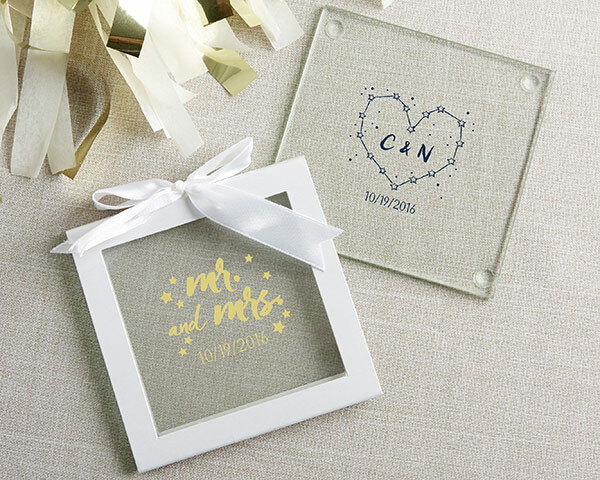 Your guests will love these Kate Aspen’s personalized starry night themed glass coaster wedding favors. Make your choice of “Under the Stars” design and add your special details, names, monogram and wedding date. 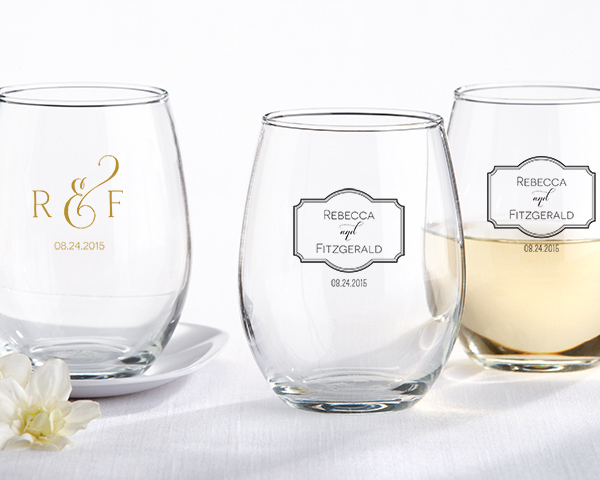 These Kate Aspen’s classic-themed stemless wine glass wedding favors are both functional and beautiful. Can be personalized with your names and wedding details. 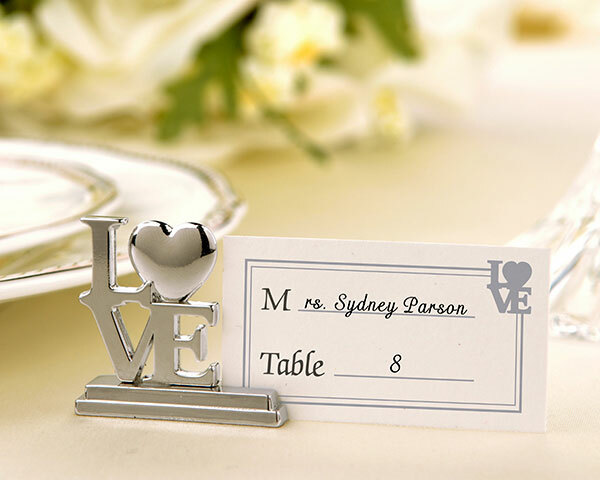 These elegant Silver LOVE Place Card Holders are made of silver chrome and fit in perfectly with any wedding theme or design. 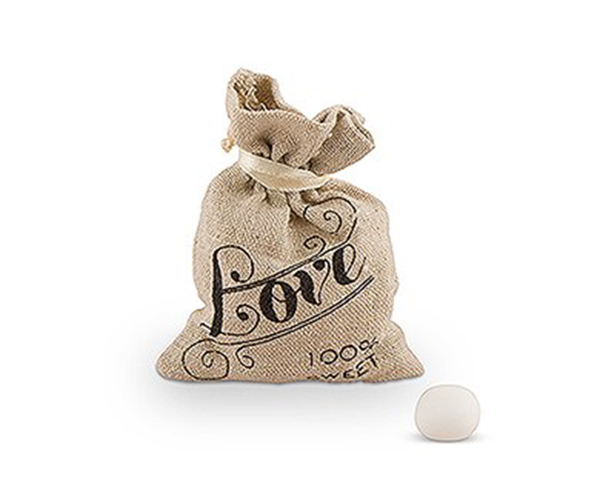 This small and adorable linen draw-string bag is the perfect touch for a vintage or retro wedding. A classy way to present your wedding guests with their wedding favors. 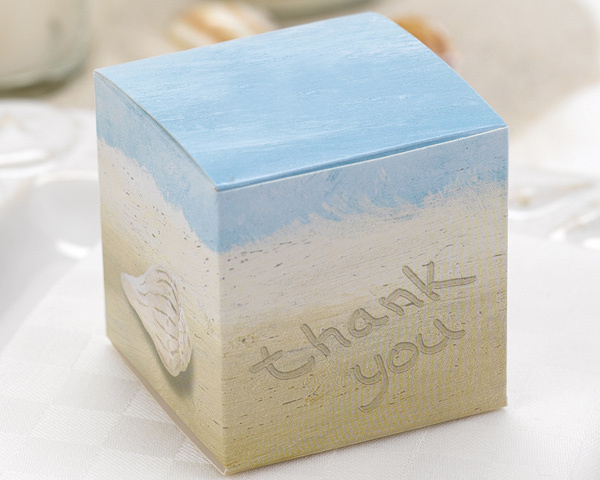 A beautiful pastel ocean shore scene adorns these romantic wedding favor boxes. The Seaside Jewels favor box features a “Thank You” message written in the sand as the ocean stretches as far as the eye can see. 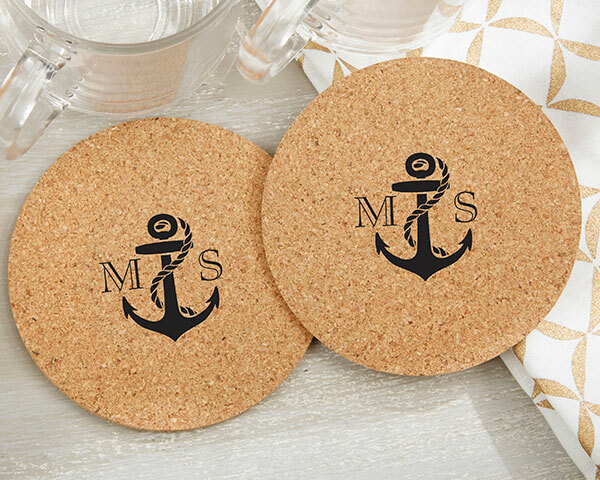 When looking around for a place to put drinks at your nautical themed bridal shower or wedding, guests will absolutely be drawn to these round cork coasters. Decorated with an elegant black anchor design they can also be printed with your names, monogram or even your event details. Well dressed and minty fresh! 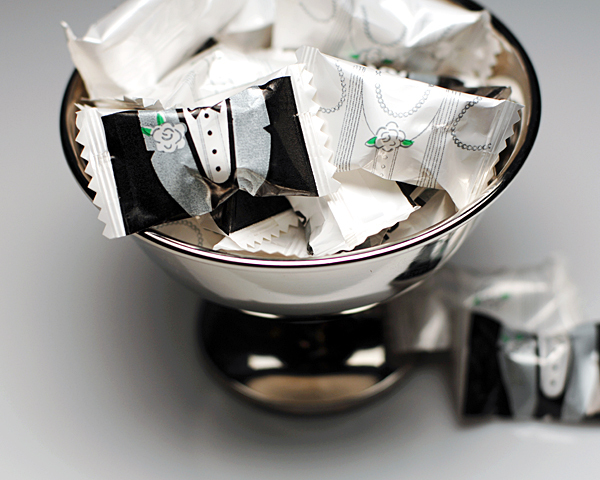 Each mint is wrapped in pearly white paper with a picture of a tuxedo or gown on front of the wrapper — a perfect way to say thanks from the bride and groom! A cool, refreshing way to celebrate your big day! 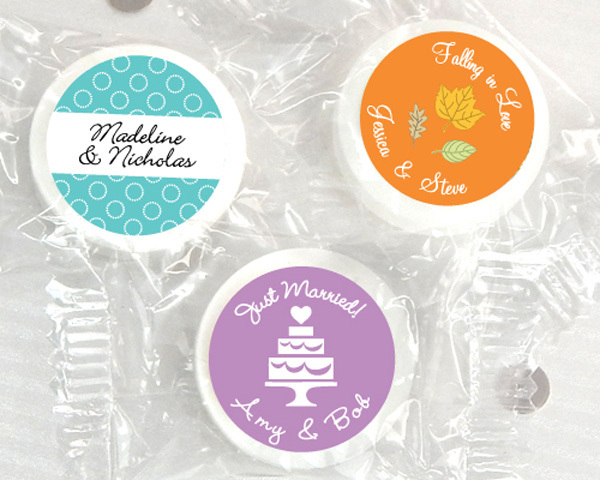 These personalized edible wedding favors are fully customizable with exclusive designs thus setting them apart from other mint wedding favors on the market. 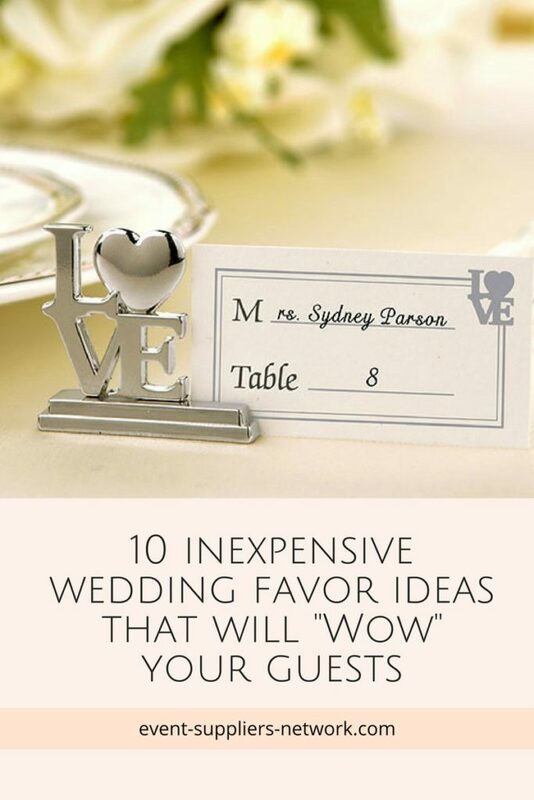 If you found this post on inexpensive wedding favor ideas helpful, it would mean a lot to me if you shared it. Please take a moment and click below to share to Facebook, Twitter and Pinterest. A self proclaimed event enthusiast, Alicia is also an experienced business technology, sales and digital specialist.